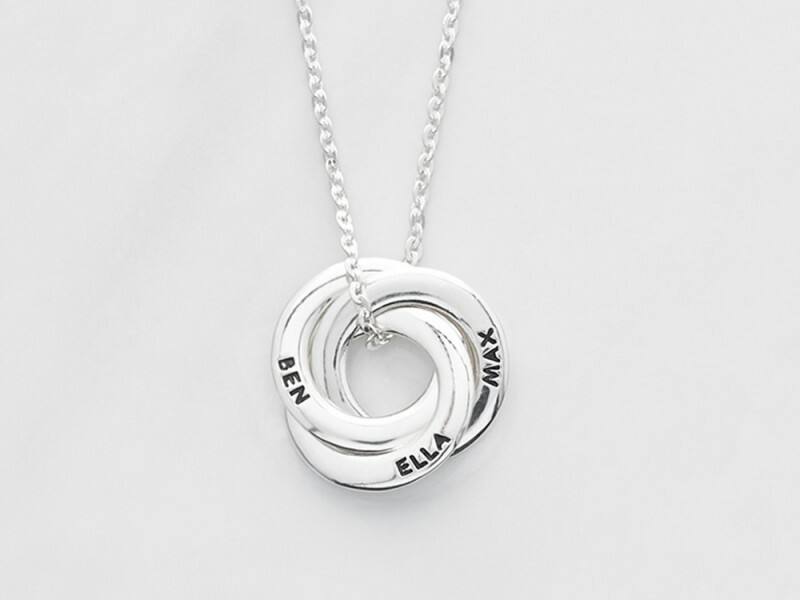 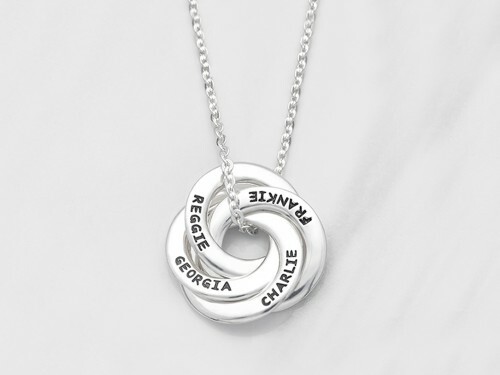 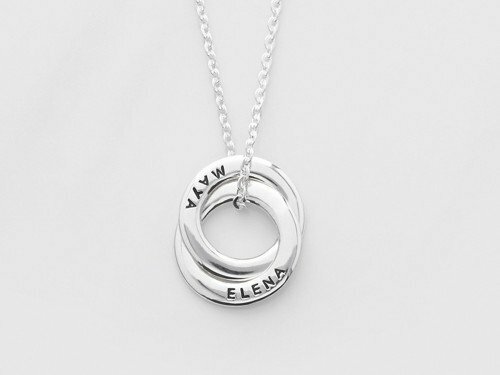 A symbol of everlasting love, this mini russian ring mother necklace has three interlocking rings handstamped with kid's names. 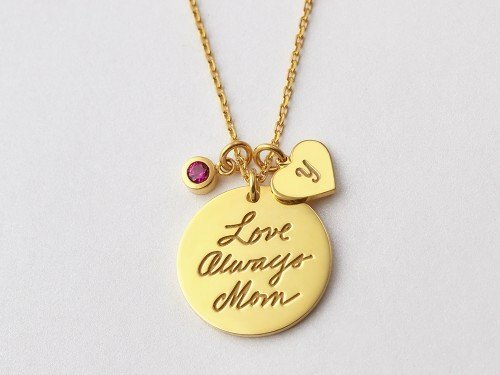 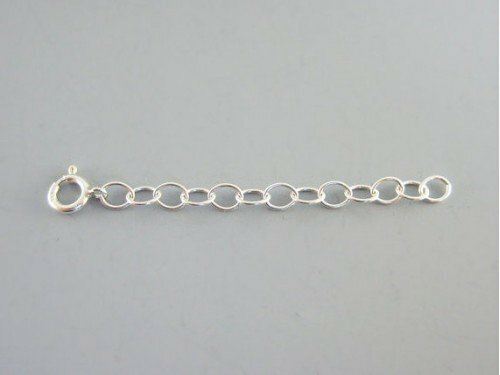 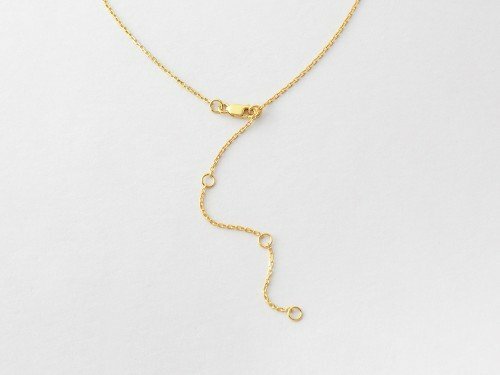 Available in sterling silver with 18K gold plate options, this necklace is great as new mom gift or Mother's Day gift. 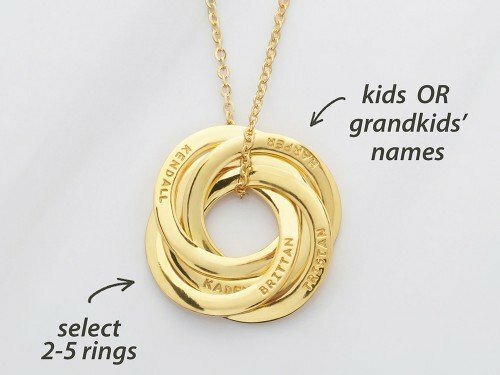 - Word limits: 1-2 words per ring. 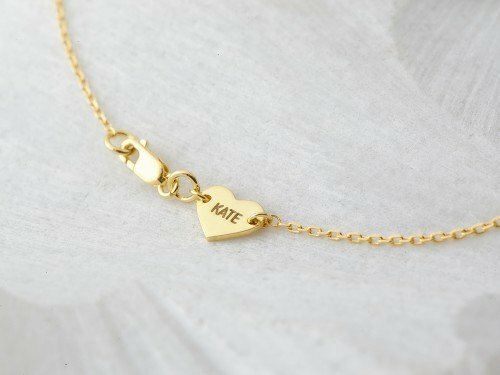 Date is counted as 2 words.